Described by the agent when in production as ‘Seagoing opulence’, its easy to see where the inspiration came from. The Ancastsa 58 Surprise would have been the equivalent of a small superyacht at the time of her build. 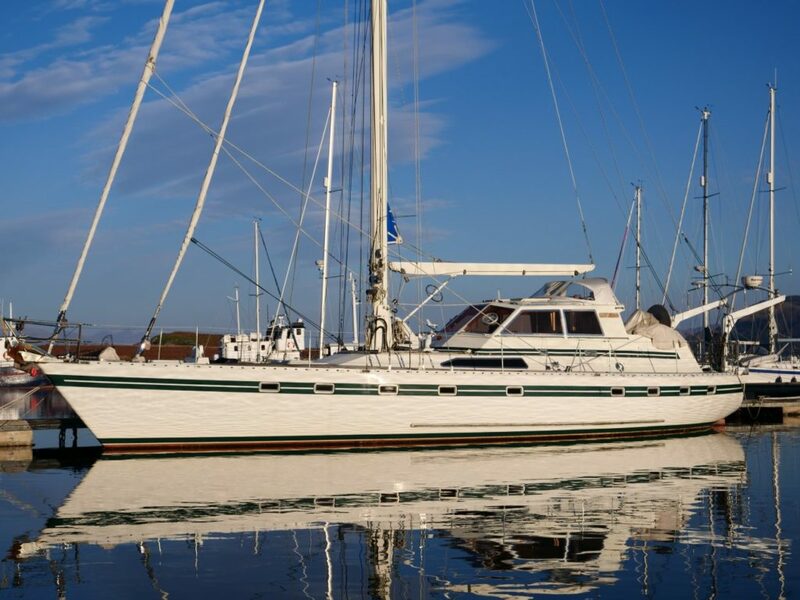 On deck SHORAN III has been optimised for short-handed sailing. The addition of the alloy fabricated pilothouse; with secondary internal helm are ideally suited to cruising in northern climes. Below decks, she offers sumptuous accommodation for four. With two grand cabins at either end of the boat. A huge open plan saloon with two separate seating areas is ideal for spending long periods aboard. Standing rigging replaced in 2010. Electric furling genoa and staysail. Mermaid Marine Ford Melody II engine fitted new 2005. Fisher Panda 6.5kva generator fitted new 2005. SidePower hydraulic bowthruster fitted new 2011. Dual Raymarine plotter and radar systems. Two independent manual steering systems. Two independent radar systems aboard. Twin anchor windlass’s with both anchors self-stowing.